OuIs your vehicle's transmission having issues? Then do not delay, give Ali's a call right away. 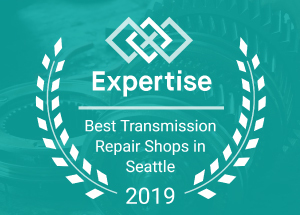 Ali's Bellevue Auto Repair has extensive experience in transmission repair and has been serving Factoria for years. We are the locally owned, family operated business that is ready to affordably fix your car. We provide comprehensive inspections when you bring your car in and then work with you on the best, most cost-effective choices for repair. Our ASE certified technicians are ready to handle all of your car repairs and services- just give us a call. Highly recommended in Factoria- Ali's is proud to provide total car care including transmission service and repair. We have the skills, experience, and equipment to work on any make, model, and year of the vehicle as well as both automatic and manual transmissions. When your transmission is having problems such as slipping, sticking or making noise we are ready to help you out. We will work hard to earn your business and exceed your expectations. We are quick, knowledgable and affordable. Ali's even offers a courtesy shuttle service for your convenience. With transmission issues do not wait to take your car in- bring in your vehicle as a small transmission fix may save your entire transmission from breakdown. We have the training to handle all transmission repairs on an expert level. Ali's is proud to offer complete auto service and we do it all from maintenance to transmission repairs to brake repair, we are ready to work with you. 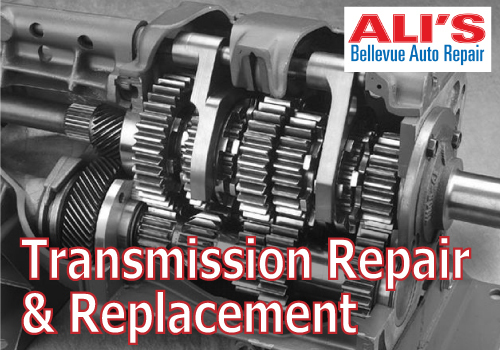 Ali's provides the quality, affordable transmission repair that Factoria drivers will be impressed with.